The electronic logging device rule is bringing big changes for the transportation industry. It’s part of the Moving Ahead for Progress in the 21st Century Act (MAP-21), and it’s supposed to make tracking, managing and sharing records of duty status data to create a safer work environment for drivers. With the compliance date looming, moving company fleet managers who have not considered the rule yet must determine whether the rule applies to them and, if it does, how compliance will be carried out. Current regulations limit the hours of service performed by commercial drivers. These regulations place limits on the number of hours drivers carrying property or passengers may drive without adequate rest breaks and off-duty time. To ensure that drivers are following these regulations, they must maintain records of duty status (RODS). This has usually been done with a paper-and-pen logbook. However, the ELD rule changes this. Under the ELD rule, commercial drivers will be required to use an electronic logging device in place of a logbook. This device will automatically record driving time to produce more accurate data. Who Must Follow the ELD Rule? The easiest way to determine whether you have to comply with the new ELD rule is to look at whether you’re required to keep RODS and follow hours of service regulations. 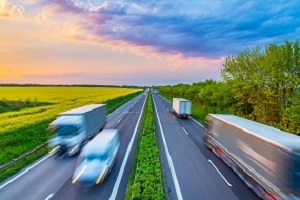 These rules apply to most motor carriers, although exceptions are made for drivers operating within a 100 air-mile radius with adequate time off. There are also exemptions for non-CDL short haul drivers of trucks that don’t require a CDL and who operate within a 150 air-mile radius and have adequate time off. In general, drivers who previously kept paper RODS must use an electronic logging device in the future. There are a few additional exceptions, notably for vehicles manufactured before 2000 and drivers who used RODS for eight or fewer days in a 30-day period or who conduct drive-away-tow-away operations. When Does the ELD Rule Go into Effect? The compliance date for the rule is December 18, 2017. However, full implementation is scheduled to phased in over the next two years. During this time, AOBRDS installed before the compliance date can still be used. After December 16, 2019, using self-certified ELDs and registering with the Federal Motor Carrier Safety Administration becomes mandatory for all carriers and drivers subject to the rule. How Should Fleet Managers Implement the ELD Rule? The full rule is detailed in a 126-page document. Fleet managers will need to familiarize themselves with the requirements, as well as the compliance deadlines. Selecting and installing the electronic logging devices will take time. Additionally, drivers will need training on how to use the new devices.